Hatch Law Firm, P.C. 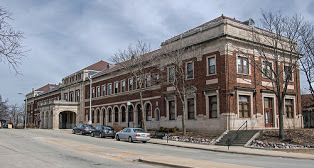 is located in beautiful downtown Champaign, Illinois and housed in the Old Train Station building at 100 N. Chestnut Street. You will find our office on the second floor all the way down the hall to the right as you exit the elevator. Our building is located inbetween the current train station and Black Dog Smoke and Ale House. Other businesses in our building include: The Depot Barber Shop, Dandelion Vintage Clothing, Exile on Main Street and Maize Mexican Grill. Metered parking is available in front of our building.